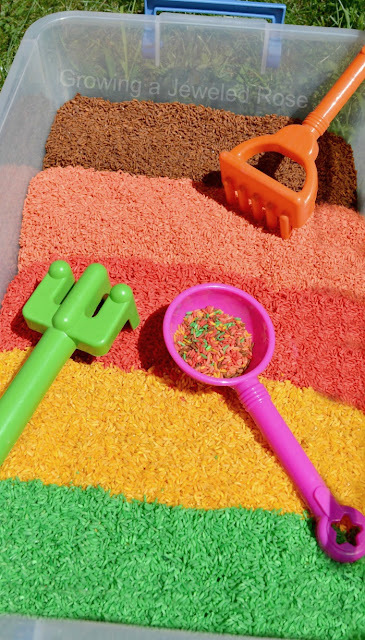 Dry rice makes a great play material for children. 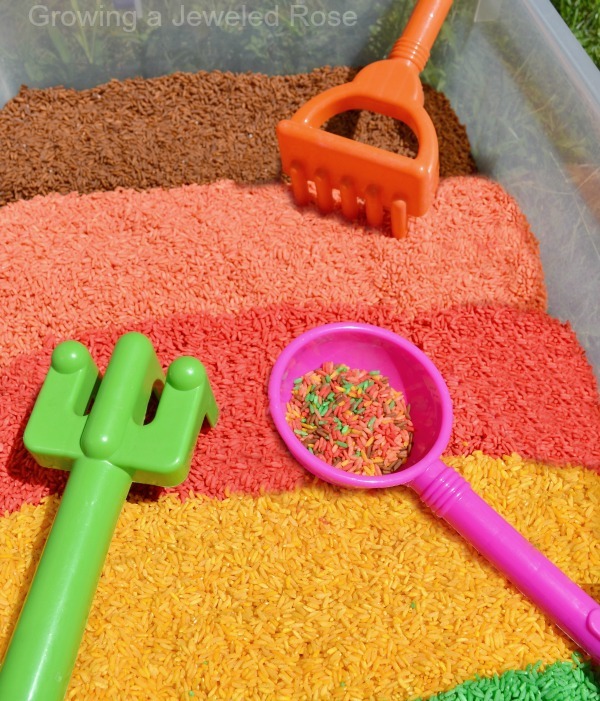 It is less messy than sand and can be stored and used time and time again. 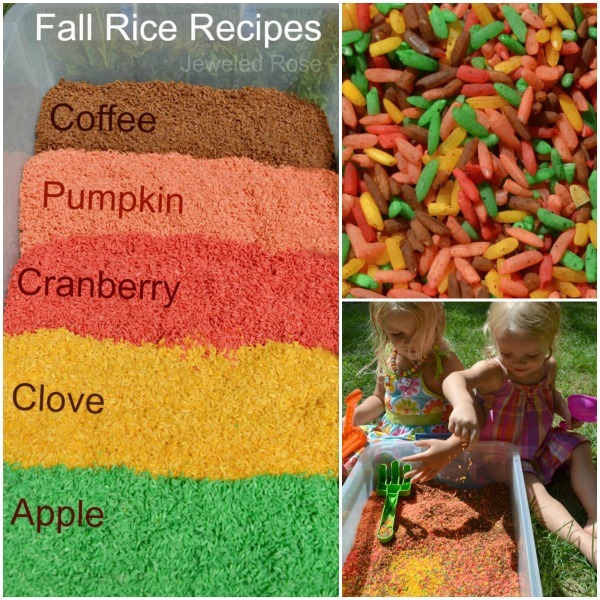 Today, we retired our Summer scented rice and filled our bin with a new rice recipe collection that captures all the beautiful colors and alluring aromas of Fall. 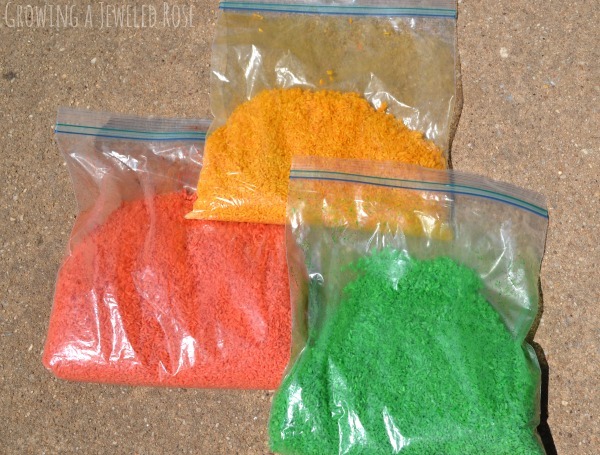 Spices/extracts for scent- we made 5 different kinds of rice, each one with a different scent. What we did differently this time is that we just left the rice in the bag to dry instead of laying it out. This worked GREAT and saved us a step! 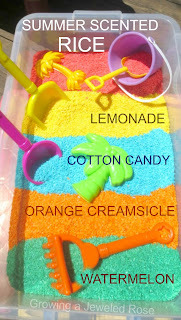 Just like with our Summer rice I wanted to capture all the aromas and scents of the season in this sensory bin. Nothing says Fall to me more than pumpkins and apples. 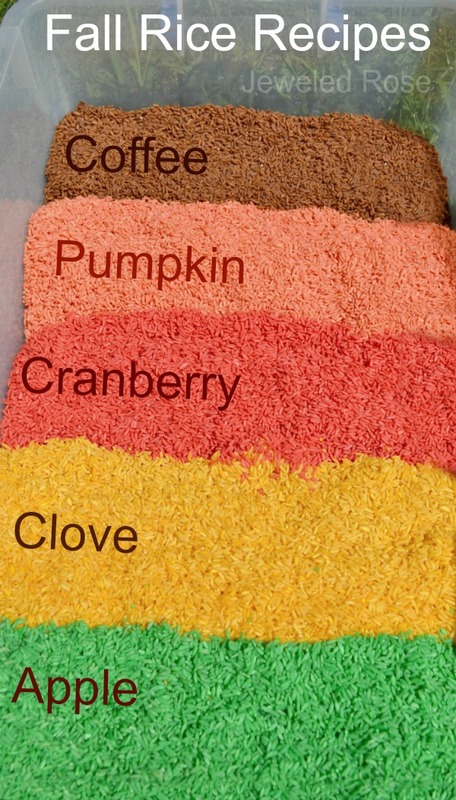 Fall always makes me think of Thanksgiving too, which led me to cranberry and clove scented rice varieties. As for the coffee rice, well, I just love coffee in the Fall. I love that we were able to capture the coffee scent without using real coffee. 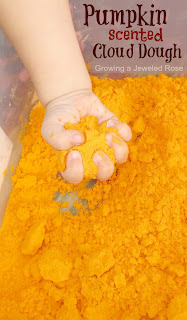 It is a very invigorating aroma which is good for stimulating brain function during play. 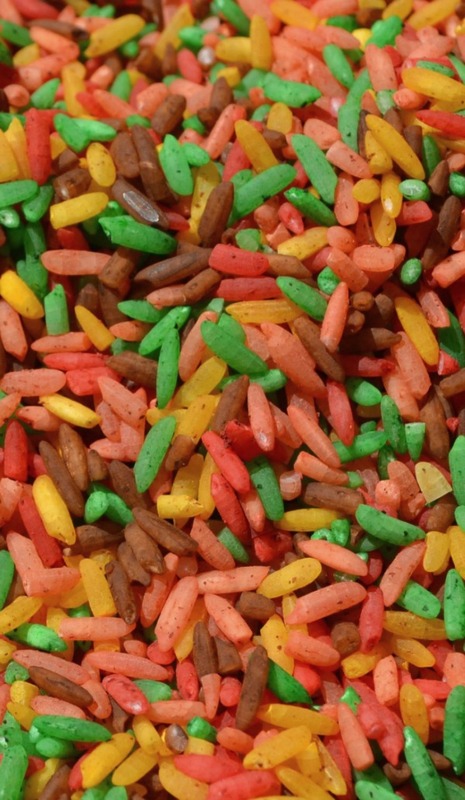 Doesn't this rice just scream Fall? One whiff and I am transported to a brisk Autumn day with the leaves changing and a coffee in hand. I love sitting close while the girls play with this bin and breathing in all the best aroma's of one of my favorite seasons. 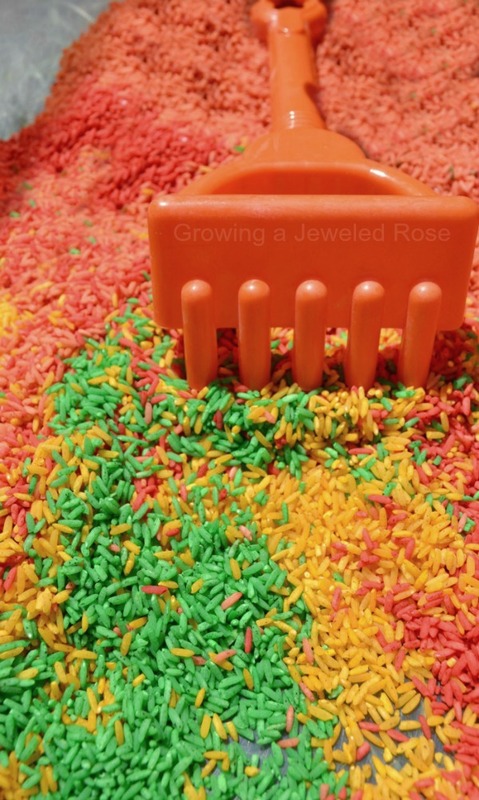 Rosie and Jewel really love this rice, too! 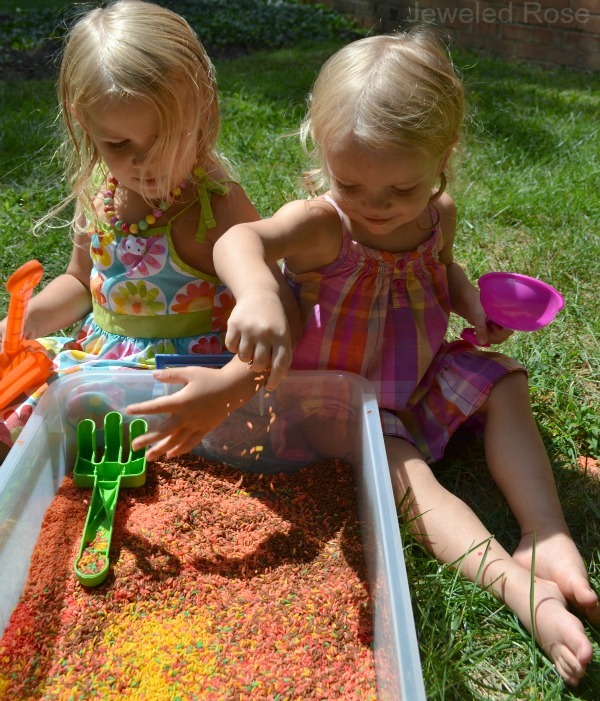 Add shovels, buckets, bowls, rakes, and other kitchen gadgets, and kids will find all sorts of ways to play! This rice will keep indefinitely or until it gets soiled. We placed our Summer rice in a large zip seal bag to pull out again next year, and I am sure we will be doing the same with this rice after Fall passes. 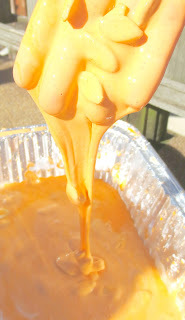 If you like this activity please share it with friends on Pinterest & Facebook!